The most fun thing to do in Cultist Simulator is die. 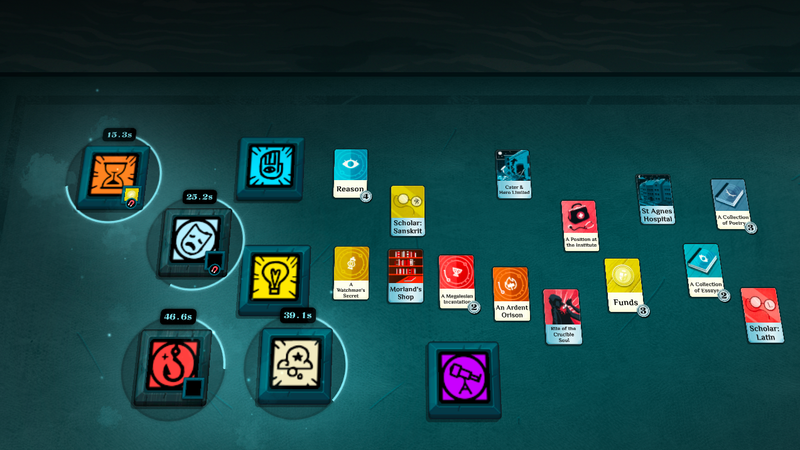 Cultist Simulator is a new game about running a cult, interpreted as a virtual card-based board game. There are no instructions for what to do, really, so you begin picking up cards, putting them in different slots, and hoping for the best. Sooner or later, you’ll die—usually as a sacrifice. Then the game opens up. You play the game by putting cards in slots and then waiting for them to resolve. This sounds boring, but when you’re juggling three or four different timers, with some of the slots requiring cards that are in another slot, it can be gripping. The first time I died I needed to use my health card to resolve a random “Illness” slot that appeared, but I was already using my health in the “Explore” slot to check out the city.I had barely started my cult, only had a few scraps of mystic knowledge, and was flat broke, so I was a little bummed out. As I started my next game, though, I realized that death had only given me more options. When I started the next game I had new options for the kind of character I could play. This time I opted to be an independently wealthy debutante. I amassed arcane knowledge at a startling rate, as I had a disposable income, but I never had enough Reason cards to understand the books I was buying. I ate it when I failed an event to find a follower or be sacrificed myself. Just couldn’t put that charisma to good use. The next game, the one I’m currently playing, I decided to be a doctor. I’m not as wealthy, but I do have the smarts to understand the books I buy—I’m even a scholar in Latin and Sanskrit! So far I haven’t been able to convince anyone to follow me, which is annoying, as I need followers to perform the rites I keep translating. Although I’m not a very successful cult leader in Cultist Simulator, I’m still enjoying trying and failing. Every time I start a new life, I’m excited by the options I have to begin again. 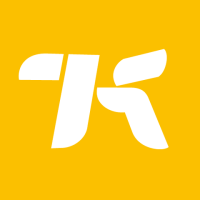 Each game has its own personality. I started imagining that my debutante got into the dark arts through her family’s vast collection of ancient artifacts, and my doctor began his study of mystic rites because his stressful work twisted his mind. I’m actually looking forward to dying at this point. I’ll begin again, with more options and a better understanding of how to make my cult grow.